This Hawk high speed floor burnisher provides a unique set of advantages over almost every single floor burnisher on the market. 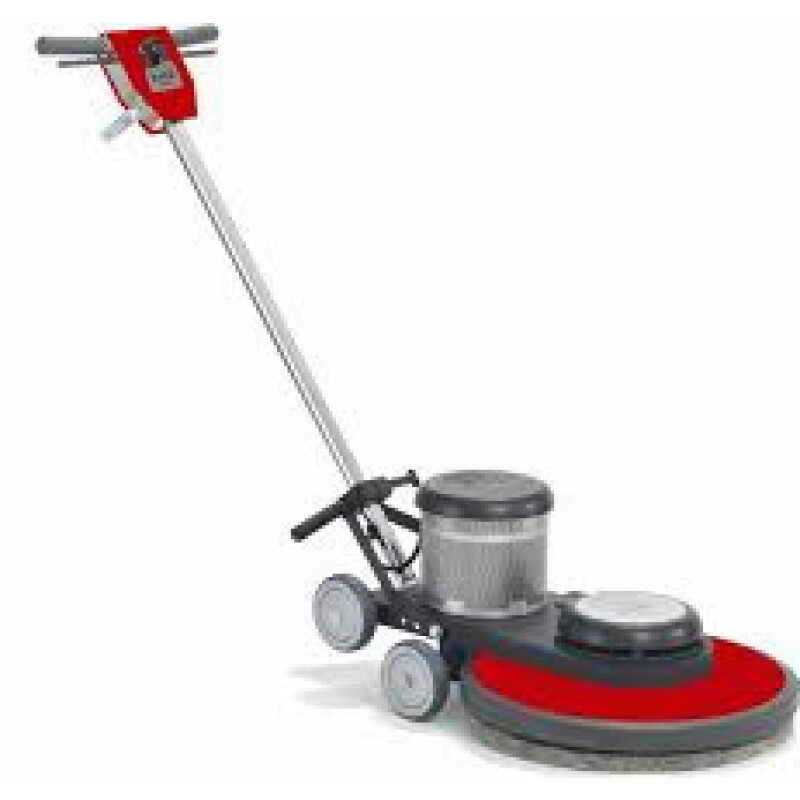 Its small, 13 inch head, can be used to polish floors in hard to reach areas. Great for bathroom and other cramped areas like convenience stores. 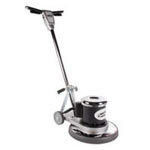 This Hawk machine has a 1.5 horsepower motor that spins a pad at 1550 RPM, providing a superior shine. Features a rugged, welded frame for reliability as well as vinyl handle grips for extended comfort. The greatest part about this machine is how easy it is to use. Adjustable handle makes it comfortable for any sized operator. Polishes in straight line. The 1.5 HP DC rectified motor assures easy handling and a smooth operation. A 360 degree wraparound bumper is non marking and protects surrounding objects while burnishing. This burnisher is one of the most quiet, user-friendly electric floor burnishers we have to offer. If you are looking for a machine with similar features but in a larger size, the Hawk 15" floor burnisher or Hawk 17" floor burnisher are also great machines. Both are essentially the exact same machine as this one, but with a larger head. Non-marking 5" ball bearing wheels.